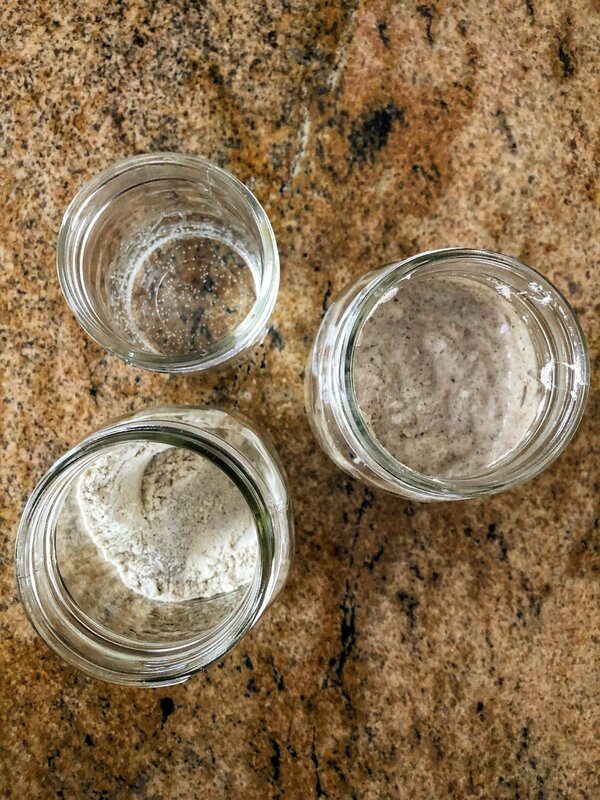 From a practical standpoint, the big difference between yeast and a sourdough starter is that it takes time for the flour to ferment and you have to tend to the mixture until it becomes active. 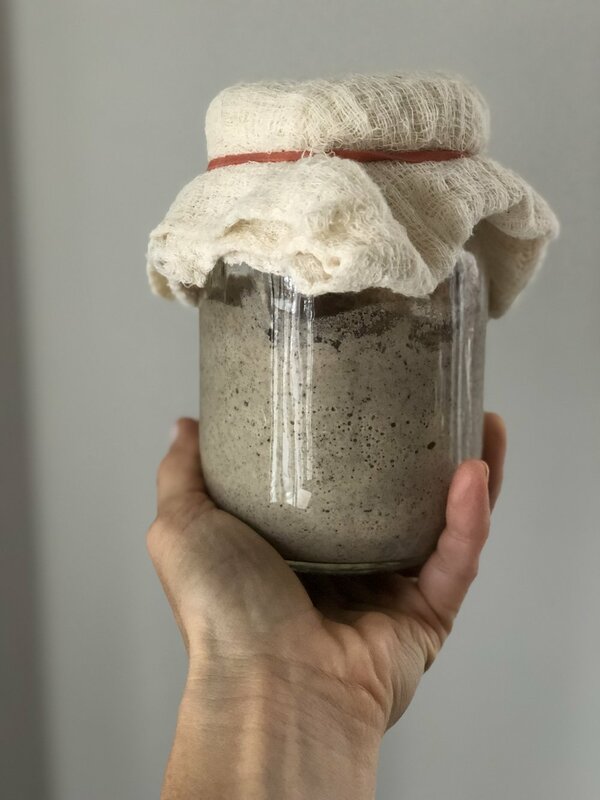 To create the starter you mix flour and some filtered water in a jar, cover it with a porous material (I use cheesecloth at home but at work we use plastic wrap), then you put it in a place where the temperature is relatively stable and relatively warm (between 20 degC and 27 degC). You must use filtered water since chlorine in tap water kills the bacteria that makes the mixture active and creates the bubbles. The temperature of the ingredients is important â€¦ all of them should be in the low to mid twenties (between 20 degC and 27degC). The cover that you put over the jar needs to allow gas to escape so donâ€™t wrap it too tightly if you are using plastic wrap. You need to keep feeding the starter until it starts to become active and bubbly. This could take anywhere from 3 days to ten days depending on the temperature on your counter. If it is relatively cool then it will take longer and if it is pretty warm then it will happen faster. Itâ€™s important that the temperature doesnâ€™t fluctuate too rapidly during this initial growth period. All ingredients must be weighted â€¦ including the water. Make a new starter every twelve hours and add half of the previous starter before putting it on the counter again. Discard the other half of the previous starter at this point. Repeat this process every 12 hours until your starter becomes bubbly and active. You can use this to make bread at this point or you can go into maintenance mode until youâ€™re ready to bake.